The picture is getting clearer in the precious metals sector, and we have been on the right track. 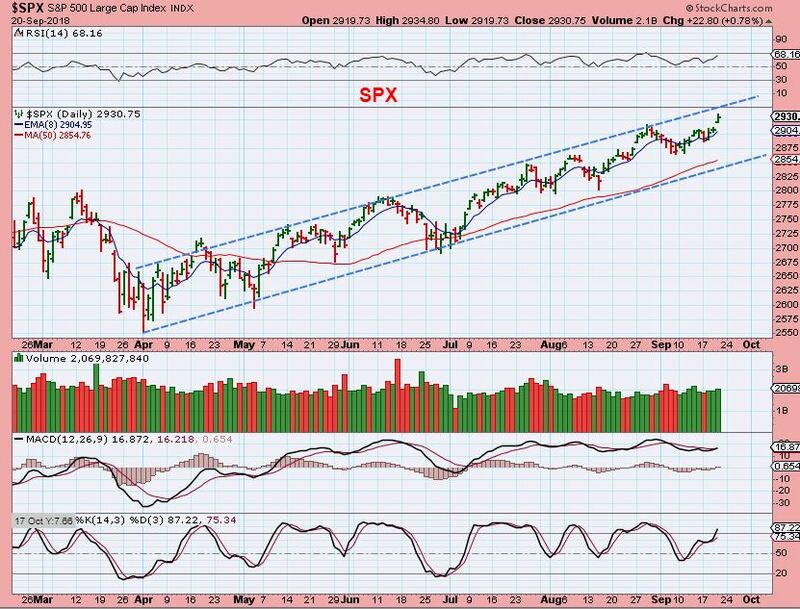 My Midday Friday report pointed out a few things to take note of, and this weekend report will contain a few more noteworthy points of interest. Let's get into our weekend Big Picture Review. Post Fed Rainbow -Where’s That Pot Of Gold? SPY INTRADAY FED REACTION - We have discussed that the Knee Jerk immediate reaction after the Fed is often a false move. 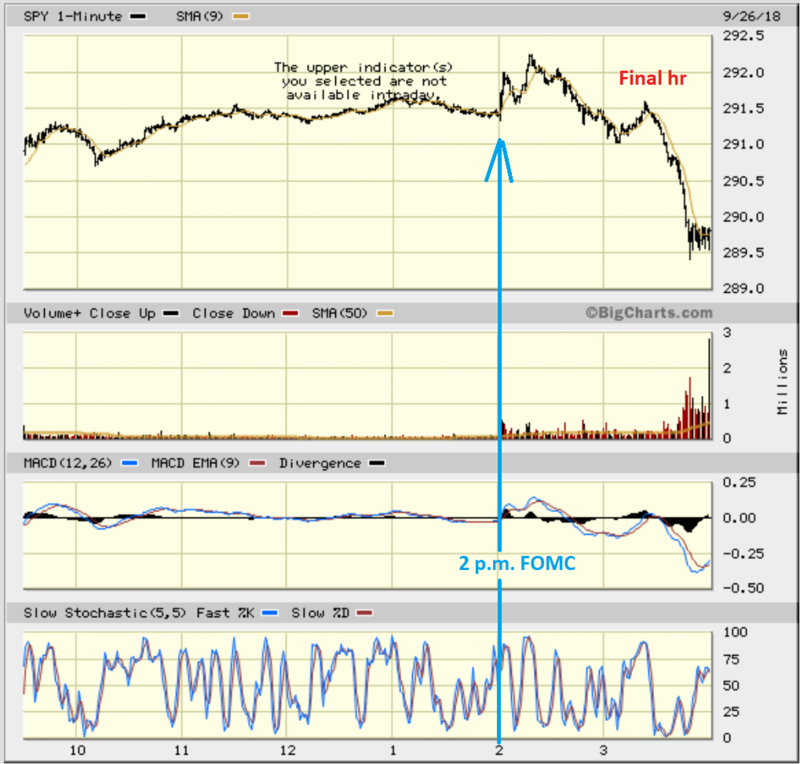 Notice the reaction in the SPY at 2 p.m., as it ran higher, and then the directional change that followed. 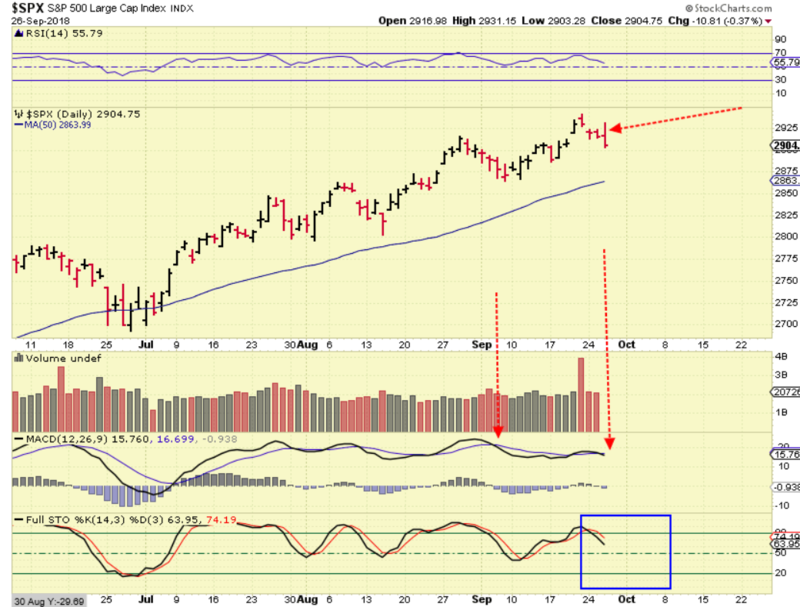 SPX DAILY - The MACD confirms that the recent high was weaker, and we are due for a DCL. Watch the 50sma for a break down or support. https://chartfreak.com/wp-content/uploads/sites/18/2018/09/RAINBOW.png 1080 1843 Alex - Chart Freak https://chartfreak.com/wp-content/uploads/sites/6/2013/04/black_logo.png Alex - Chart Freak2018-09-27 01:16:362018-09-27 01:16:36Post Fed Rainbow -Where's That Pot Of Gold? 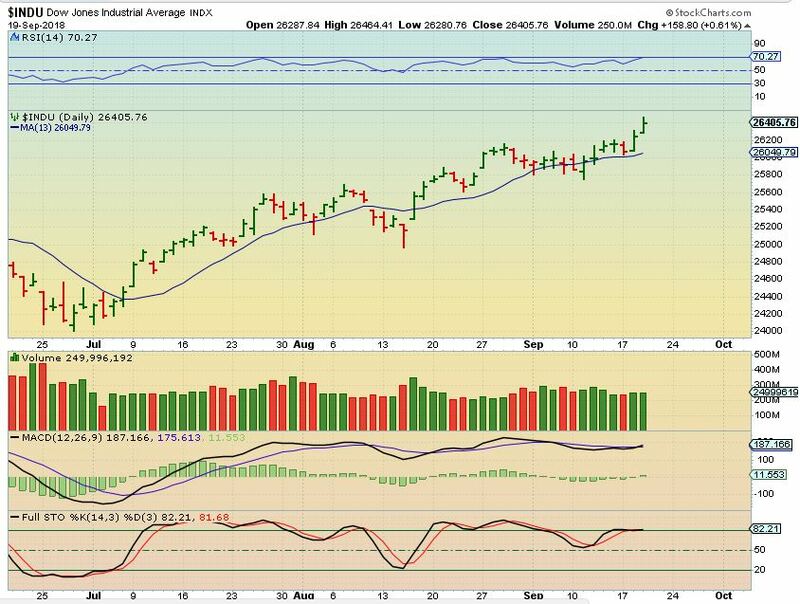 DJIA WEEKLY - The DJIA finally broke out to its all time highs. After a quick review of the Markets, we'll discuss some new stock picks in various sectors and also our risky high fliers that have really been giving us a lift. As the Theme Title says, 'Enjoy the Ride , but Remember the Risks'. 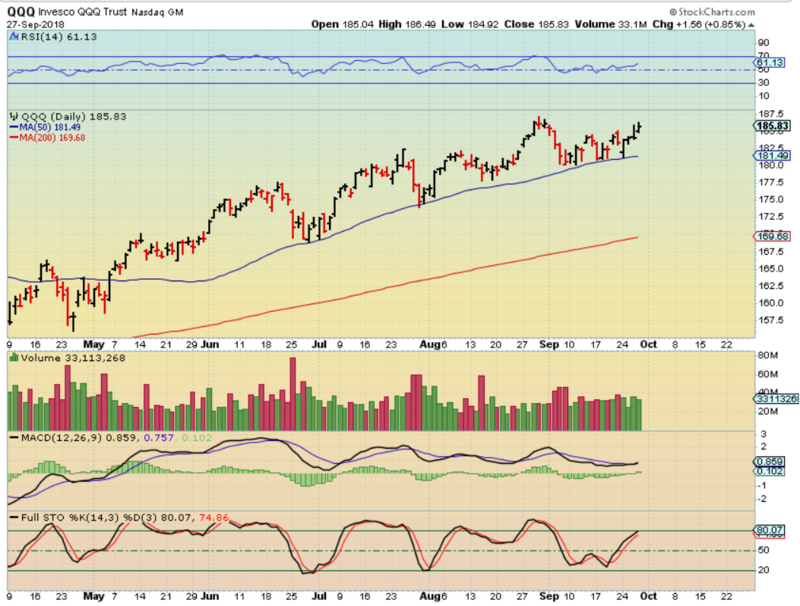 DJIA - We see follow through in the break higher by the DJIA. 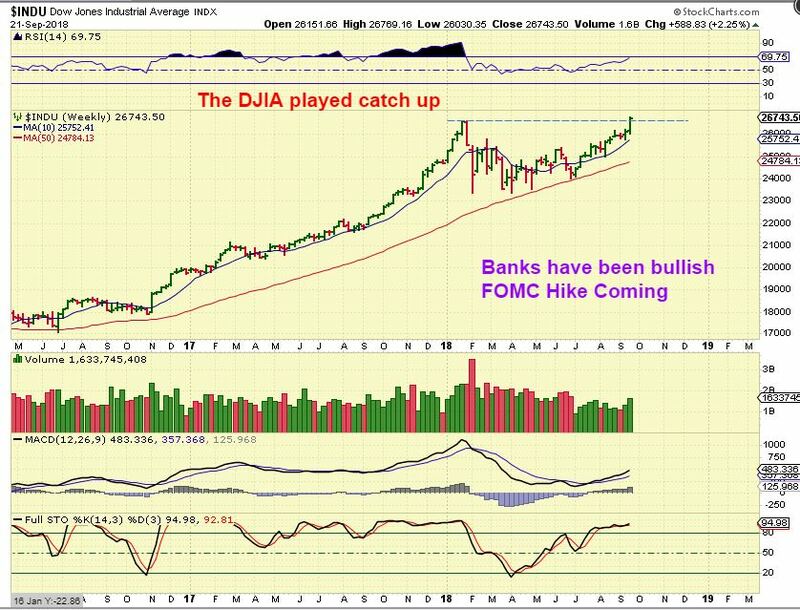 This is bullish, but..